Hyukoh is a South Korean indie band. Oh Hyuk is the band frontman, and he pursued music full-time despite that being the opposite of what his parents, both university professors, wanted. Despite this rebellion of sorts, “Hookah” is a really warm and mellow song through the use of a guitar, bass guitar, and drums, and it is supposed to bluntly express the band’s feelings about human relationships in a vastly changed setting. Also, the singer cannot express what he wants decisively, and mostly starts of sentences with “why”. Based off of this description and the slow beat of the song, this is a song about exploration instead of a song that has reached an epiphany so there is no climax where the notes would sound sharp and focused. Years and Years is a British electronica trio who uses a bass guitar and keyboards. The tone quality of this song is very rounded and warm sounding. The bass guitar and keyboards seem like they will provide a stark contrast against each other since the notes played by the bass guitar is muted, but the keyboards sound muted as well, with no sharp sounding notes being played. The beat is not too fast or too slow, which matches well with the lyrics of the song: the singer asks for a decision to be made but is in no hurry for the answer. CITIZENS! is a London indie disco-styled pop band. For this song, they use the piano, drums, violin, and the xylophone. With these instruments, the beat is very optimistic and upbeat. The xylophone notes are striking but not to the point where it sounds harsh on the ears. Furthermore, the beats of the drums are striking and serve to blend all the notes together. The sounds of the violin towards the end of the song are very abrasive and edgy, which might seem tough on the ears, but assists in emphasizing the climax of the song. Lykke Li is a Swedish singer who blended indie pop, dream pop, and electronic in this song. The beats of the drums and piano are neither too fast nor too slow. While the instruments were brought together well to create an addicting beat, the voice of the singer is what drew me in for this song. Li’s voice has a really low quality, with a slightly husky and rough undertone. She also seems to drawl some lyrics, which in my opinion, seems to have the effect of luring in the listener. Slow Magic is described as the “sound made by an unknown imaginary friend”. The people who come out during live shows always wear masks that have the theme of fantasia. The main producer of the music uses both a synthesizer and drums. With the synthesizer, the sounds are an amalgamation of focused, breathy, piercing, mellow, and smooth tone colors. Additionally, the producer uses drums for some parts of the song. The timbre for the drums is a muted jarring sound that speeds up the beat of the song and delegates the synthesizer, which is still playing, to be background noise playing at a much slower beat. Towards the end, he starts hitting the drumsticks at the edge of the drums so that it hits the metallic edges, which provides a piercing jarring sound. 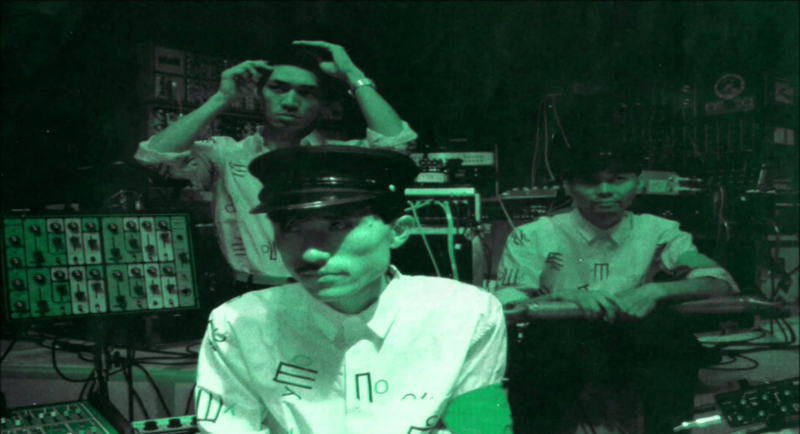 Clazziquai Project is a South Korean experimental band and the song “Flea” is electronica. The timbre for this song is very mellow, dark, and breathy. The notes played are not jarring but the song itself brings forth dark imagery. I get the feeling of being pulled into an abyss of darkness and the lyrics reinforce that imagery, one particular line being, “And we fly to a heaven / Eaten by me”. Furthermore, there are two singers: one male, one female. The female singer has a coy and breathy voice, which in my opinion serves to entice the listeners to come to the dark side, not by force, but through the listener’s own free will because they have succumbed to the temptation. eAeon is a male singer who fused together electronica with rock and jazz for this particular song. The timbre quality of this song is extremely unfocussed, mellow, and dark, which reinforces the mood of misery and loneliness. The notes are played so that they are prolonged, which makes me feel as if time has slowed down. This has the effect of drawing out the mood of loneliness and misery, which only highlights the infinitely sad quality of the song. A visual association I make when listening to this song is laying down to go to sleep so that nothing else can hurt me more than it already has. Utada Hikaru is a Japanese singer and songwriter, and this song was the trademark song for a video game called Kingdom Hearts, which is based on a boy who has to save his friends and other worlds from entities called the Heartless. It’s an action-packed game, and due to the timbre, this song seems to have the effect of encouraging the hero from giving up while still acknowledging that the adventure will be understandably difficult. Some parts of the song have the tone color of warm and bright, which has the effect of encouragement. Other parts of the song have the tone color of mellow and breathy, which has the effect of acknowledgement. Furthermore, the song is very upbeat, which has the overall effect of being positive. Yann Tiersen is a French musician and composer, and he used the piano for this song. The notes of the piano are overall very mellow: toned down yet focused, quiet yet powerful. This invokes the imagery of David from the Bible story of David and the Goliath. David is small and clearly disadvantaged yet he was able to win against the giant. I associate the song to David because he was weak and small (toned down and quiet) yet he faced off against Goliath with defiance and won (focused and powerful). Foster the People is an American indie pop band. This song has a very upbeat and cheery melody, which brings forth emotional associations such as joy and happiness. However, the lyrics completely contrast the happy melody because it describes the actions of a dark and trouble youth who has a shotgun which can be either used to commit suicide or murder others. One such line that I thought was meaningful is “All the other kids with the pumped up kicks / You better run, better run, outrun my gun”. This contrasting juxtaposition of the song’s composition hints at the obscure nature of today’s troubled youth. It is not something that is obvious because any mental illness that the youth may be afflicted with may be passed off as something entirely different (hormones, puberty, etc.) or just not receive enough attention. This song is slightly breathy with an overall rounded timbre produced by the bass heaviness and quality of the voice of the singer. There is a moment in the song which includes a saxophone solo, which transforms the song into something more reedy and bright. The song for me reminds me of time I spend in Basel, Switzerland. The kids there are listening to a lot of American and British bands, and a lot of indie recordings, stuff that sounds a little more folky. This was playing on multiple occasions at a bar I frequented after class there, and poignantly extenuated the distance and isolation I felt while I was away from home. This song has a stringy bright and plucky quality, and sounds rather tin-y as well which is produced by the banjo and the raw vocal quality of Hazel Dickens. This song brings back memories of driving across state borders, passing by abandoned caves and mines. It also rings true to me in the sincerity and destitution of the conditions in which the artist was living during her time, as a literal pioneer, and a cultural pioneer within the bluegrass genre. This underground club banger sounds round yet dark, and has a choppy resonance produced by the waveform of the main synth. It also has a gradual feeling of “growing” as a song, as the main sequence ends with that choppy main instrument sliding up in pitch. This choppiness is then undercut by intermediate “interludes” which feature faux string synths, which have a smooth and low timbre. Then there is the bass, which punches hard with a fast attack. The song reminds me of strangers, the slow and inevitable slippage into oblivion, and the joy of not caring, just moving in space. This Italo disco song uses an entrancing and circular moog type synth which arpeggiates (sp?) the bassline in a steady rhythm which carries the song. It has a very bright and other-worldly feeling once the string synth comes in in combination with the distorted choral sequence. To add, it has a rhythmic plain quality which grounds it with the incorporation of the piano, and adds an element of clarity. This song reminds me of both my parents who LOVE disco (although I don’t think they’re directly familiar with Italo Disco as a genre, and it also reminds me of the times in high school when I would skip school to come to the city and spend time with friends I met on the internet, and we would go out to underground parties and performances in Brooklyn (before it was completely gentrified, although admittedly we were probably part of the gentrification of the space through the cultural transportation of this style of music) and they would play disco, but it was so bizarre because we all knew that it was a sound that did not belong to our time, but we adopted it as a way to remove ourselves from our depressing contemporary existence, which in turn became really fun. This is Swedish hip hop music, which has become more popular lately with the rising popularity of artists like Yung Lean who have appropriated an American Hip hop sound and recreated an alternate reality where white people rap about sad emotions. The timbre has a dark and buoyant quality, almost sounds a little bouncy but definitely round and large, in contrast with the vocal quality which is a more singular sounding tone, augmented digitally to clarify. Japanese funky jazz music. The vocal quality of contemporary Japanese music, appropriated or not is what strikes me, especially with Mae Yamane. There is a strainyness and a fuzzy timbre to her voice, but the drawing out and sliding of tones is what I think gets it for me. The instrumentals of the song have a wet feeling to me, but her voice is dry and penetrating, similar to Janis Joplin but less. This song reminds me of gambling under the decadence of red chandeliers and spending all the money you have, hitching a ride back to your hotel where you can’t pay for another night so you end up sleeping in your car, but then you wake up and realize that it was just a dream. Baile funke music from brazil. This music originates from the favelas and is for the people, for dance. I was told about this specific genre within baile funke called “funke prohibito” from some brazillian expats in Washington DC. They said it is extremely dirty / filthy music, and is restricted in certain places in brazil, but it is so good to dance to. The timbre is poppy and deep, with a spacially dynamic effect due to the cutting and sampling and repeating of patterns mixed together over a drum. The influences sound African to me, the overlapping and mixing of different rythms, however they stay consistently in place in a 4 bar system. The timbre is light and deep, while delivering piercing and breathy quality as well. This music makes me wanna dance. This song sounds foreign and familiar at the same time, which I suspect is intentional on the part of the performer, maybe she wanted to create pop music that brought people out of pop and into the sphere of world music, but in a clever way by using world music in a hip hop style, and subversive / political lyrics. Greek experimental band. Not much work of theirs online, except that which came from some movie soundtracks, but their music seems to coopt experimental sounds, a droning, urgent clear bright timbre. The use of delay. With bright ringing tones coming in and out played forwards then in reverse. Once the accordion comes in, the timbre feels warmer, yet warmer in a cold way, like we’re in a desolate situation. This song reminds me of a history lost, a sad moment in time. A place removed from America and capitalistic ideals, but in solitude and crying out for help. “MacArthur Park Suite” The Timbre in this starts out with the piano and vocals which are very dramatic, but used to move into the electronic sounds of the more disco aspects of the song. Most importantly is how the background music or score is used to compliment the vocals of this song. Even the disco aspects of this song are created to frame the vocals in a sense and all follow similar rhythms that create a harmony. What is interesting is that this is actually a cover of the original song which has been covered twice, once by Donna Summer and the second time by Richard Harris. Originally this song was written and performed by Jimmy Webb, and although these versions are not included in my playlist, it is interesting how the timbre once shifted in the Donna Summer version really alters the meaning of the song. I chose this song because all throughout it I found that the timbre of the background music is very interesting and there is a very interesting and continuous sonic texture. “This Charming Man” I chose this song because of the similarities to the prior track in relation to the length of sounds and loudness. This song has a lot of personal associations for me and I felt that it would contrast well with the other songs, but that the guitar and vocals also have a very interesting length of sound as well as pitch. “Como la Flor” This song is interesting to me about how it’s obviously using non-western sounds but really utilizes them to create a similar harmony as the other songs. I found it really beautiful how many sounds there are in addition to the vocals, as well as how Spanish sounds sung with this. There is once again a similar length of sound that is used to create a harmony, but it’s just very beautiful in a way that isn’t found even in her music after she had her crossover album to appeal to an English speaking audience. “Bizzare Love Triangle” This song has a really interesting quality of synesthesia which correlates really well with the vocals in the harmonies. I also really enjoy the rhythm of the song and length of the vocals within this song. “Rad Racer” For this song I was really drawn to the softness in tones as well as the length of the rhythm of the vocals. However, there is a nice contrast of beats in the non-vocal elements of this song. The vocals really soften out the song, which would otherwise be somewhat upbeat and not have as much of a complexity. “Hawaii” I liked this Song as a contrast to the other songs. I also really find the synthetic sounds in the background of this really interesting in how the blend together and sound somehow like a marimba or even organ but kind of blend together and feel in some way how I would imagine flowing water. Also, the softness of the vocals really adds an atmosphere once again of complexity. “Whistle” For this song, I enjoy the sonic textures of the background music with a bell sound a whistle sound as well as the sounds of Korean being either rapped or sung. Overall I really don’t enjoy the main rap parts because the whistle and other sounds really sound to be emulating a sort of rap sound that is very dull to me in terms of the complexity of elements. What I enjoy is how the singers voice in this section increases in loudness as well as how the sound of Korean is really beautiful and has a nice rhythm and loudness to it.I chose this mainly for the harmony which is sung with the guitar in the background, which is find has a really nice pitch as well as rhythmic quality. “Realiti”(demo) vs “Realiti” (33 Speed Remix) For these two songs I wanted to have a comparison of the original to the remix to discuss how the timbre is changed in the remix. By simply slowing down the song I find that it really alters how the song sounds both in pitch and length, but it really adds to the softness of the song and vocals. Personally, I feel as though the remixed version brings out a lot of the rhythm of the song and where sounds meet. I also really enjoy the vocals at a lower pitch and slowed down. It makes the song sound a lot richer than the original in a lot of ways. “Running Up That Hill” Although this is a cover, I really enjoy the pitch of the vocals in a relation of the original. I also really enjoy the dissonance that this song overall has, which creates a sort of unrefined or cheap aspect. I also enjoy the speed and loudness of the vocals because of how you can understand the vocals. “ Nature Trips” Although this song is mostly synesthesia, I really chose it for the rhythm of the background music and the length of the sound. I find the vocals to be alright, but I chose it mostly for the background and there is almost a sort of vibrational quality to this sound. This is my hair” For this song, I enjoy the synesthesia for how harsh it sounds but also the overall rhythm and loudness of the song. It generally reminds me of very loud and somewhat abject music but really in a more interesting way with the vocals. “Moskau” I enjoy the tempo of this song as well as the shift in loudness throughout the song as well as pitch. It has a nice speed as well as loudness in relation to the speed and rhythmic qualities. “Every time” For this song, I enjoyed the length and softness as well as pitch of the vocals. I think the vocals nicely contrast the piano and or harp sound which is very high pitch and gives me a somewhat soft feeling like pressing a high-octave piano key. I also really enjoy the shift in sonic tone at the harmony that changes the overall softness of the song. “Shark in the Water” I really enjoy the length of the guitar with the length of the vocals. It has a really nice quality when the loudness and pitch increases and there’s a really nice rhythmic shift within this song I also enjoy how there’s still a sense of complexity to the sounds in this song although they are relatively simple. “October Song” I really enjoy the rhythm and length of sounds in this song as well as how it changes once the pitch changes but doesn’t really increase that much in loudness. Overall it feels very smooth but complex and rich tonally. what is really most compelling about this song is the use of vocals to really control the feeling of the song. “Dim All the Lights” For this song, I was drawn to the background sounds that rhythmically frame the vocals very well. I also really enjoy the sound of the vocals and melody once the song gets louder and slightly increases in pitch. I find that what is most compelling is the shifting tonal key of the vocals throughout the song that really guide the experience of listening to it. This song starts off with a resonant voice that utilizes some vibrato while a few strings are strum from a single guitar in the background. Various styles of guitars join in, combining to a warm tone color. The combination of this warm timbre and the frequent use of vibrato creates a dramatic and romantic vibe. In particular, the clear flamenco influences in this song results in me feeling like I’m in a Spanish film about someone longing for and missing their lover. In this song, an ensemble of string instruments is used for the instrumental. A song that is already sad with lyrics concerning lonely people, the instrumental has a dark and heavy timbre that further gives the song a sad emotion. The string instruments have an especially raw and unrefined sound that amplifies the emotions portrayed in the song. The timbre and tone of this song always puts me in a sad and pensive state. I like Young Thug for the way he manipulates his voice to makes cool and interesting sounds rather than his lyrical skills. In this song in particular, Young Thug pushes his voice to the limits by squealing and sobbing in place of traditional singing. The effect of this almost nasal and unpleasant singing is a strident and piercing timbre. Despite these weird sounds, Young Thug knows how to be melodic on the well-produced beat so the outcome is a pleasant song with unpleasant sounds. The near sobbing as he sings makes him seem very passionate about the subject. This lullaby starts off with a female humming a tune with narrow vibrato and a piano playing a few keys in the background. An angelic voice and violin join in to blend to an unfocused timbre that creates a dreamlike state. This lullaby is played throughout the soundtrack of Pan’s Labyrinth, one of my favorite movies about a girl living a dark fantasy. Hearing this tune always takes me back to memories of seeing the movie, and puts me a in a melancholic mood. The underlying beat of this song is created by a guitar, bass, and drums. Chris Isaak’s voice and a guitar which both utilize a lot of vibrato are overlayed on the beat to create this unfocused timbre that feels blue and dreamy. Whenever I hear this song, I immediately get transported to a perfect summer night with a dark blue sky. I see myself driving down a quiet highway along a pretty beach with the roof down and a beautiful woman in the passengers seat. I feel the wind blowing through my hair and I see myself driving down aimlessly feeling content and at peace with everything, seemingly forever until the song comes to an end. In this clip, a tovshuur, a traditional Mongolian instrument accompanies Mongolian throat singing. The tovshuur has a focused and clear timbre and for the majority of the song, the musician plays the same few notes over and over again. The throat singing has very interesting timbre that utilizes vibrato and an almost piercing sound that really grabs at your attention. 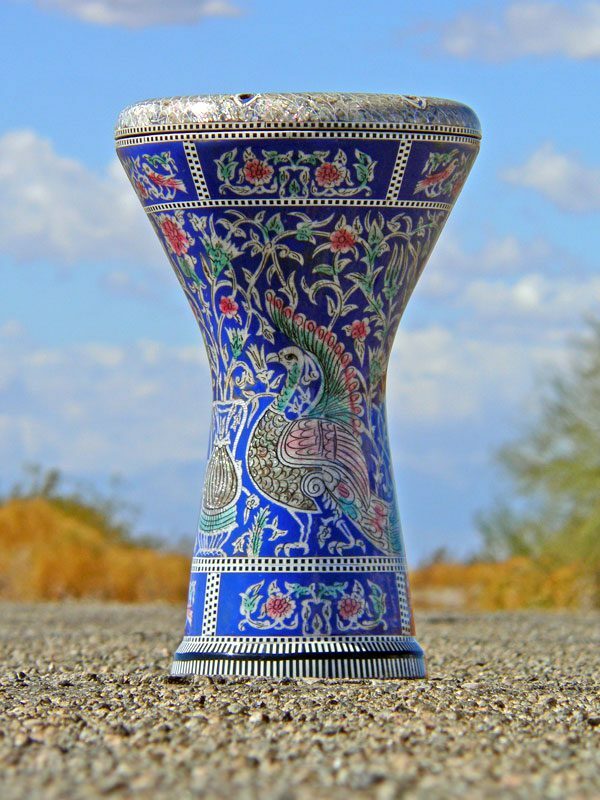 The combination of the instrument and the singing paints a mood of simplicity and peace. The beat of this song uses interesting effects that results in a very dark and resonant timbre. Chance’s mellow voice allows his verse to float over the beat, adding to the darkness. I have many good memories with different friends associated with this song so hearing it always puts me in a good and happy mood despite the dark tone of the song. The song starts off with a hazy voice talking over a simple guitar riff. A guitar with warm timbre joins the song, along with heavy drums and resonant singing. The combination and mixing of all of these sounds results in a warm and mellow tone color. The song features BBNG, an instrumental group whose songs frequently exhibit a dark timbre, which is displayed here as well. Listening to this song puts me in a laidback mood, thinking of nothing in particular. This song starts off with the chorus of the song, which incorporates a wide variety of string and brass instruments that has a bright and focused timbre. Following the chorus, the instrumental becomes more minimalistic, allowing Laura’s voice to shine through with a clear timbre. The overall bright and happy tone of the song puts me in a good mood with images of an open space with white and plain colors. This is a traditional Ukrainian folk song that is the basis for the Christmas carol, “Carol of the Bells”. This is an a cappella piece, with a large range of voices that mix to create a rounded and warm timbre with little vibrato. Although it is in a different language, the sound is the same as the Christmas carol so I instantly get images of Christmas and dark snowy nights. The live performance has a lot of raw emotion and evokes a feeling of importance. 1) That’s the Way (Led Zeppelin) – I enjoy the gentle strumming of the acoustic guitar in this song. The mellow and peaceful sound is very soft on the ears. The timbre from the way Robert Plant strums is unfocused and weak. There is a narrow, fast vibrato. 2) Session (Linkin Park) – The drums (starting at 18s) in this song create a piercing sound every time they are hit. The drums don’t have a resonant timbre, and the tone color is very dark and flat in my opinion. 3) Killing Floor (Jimi Hendrix) – The electric guitar in this song has a narrow and fast vibrato. The guitar has a resonant and piercing quality. I chose thing song because I thought it would be interesting to compare the sound to that of the first track: the guitars are played similarly in the beginning yet the Hendrix’s electric guitar has a very different tone to it. 4) Aloha Oe (The Hawaiians) – The stringed instrument in this song is the lap steel guitar. The tone color of the guitar in this song is very resonant. It has a wide and slow vibrato. The sound is very warm and mellow. I like the peaceful way it sounds. The sound is very calm, but the resonance from strumming gives the song a very sad mood. 5) Raga Yaman Manjh: Thumri In Teentaal (Ravi Shanker) – Shanker’s sitar has a very cryptic and mellow tone color. The sound is rather sharp with little resonance. Listening to the sitar in this song makes me uncomfortable. 6) Can’t You See (The Marshall Tucker Band) – I would like to focus on the flute that begins playing starting at 12s in. The flute has a fast and narrow vibrato. The timbre is mellow and soothing. The flute has a very airy and hollow sound to it. The sound of the flute sounds like it is focused – it doesn’t sound sharp but there is a sort of stress as each note is held. 7) Bulls on Parade (Rage Against the Machine) – I am interested in the electric guitar at the beginning of this song because it has a very unique sound, partly due to the amplifier. The timbre is very heavy and powerful. The sound almost forces your heart rate to go up. There is a slow and wide vibrato when the guitar is strummed. 8) Great Fairy’s Fountain (The Marcus Hedges Trend Orchestra) – The harp in this song (starting at 19s) is very mellow and light. However, each individual strum of the harp has focused sound. 9) Tarantella Napoletana (Orchestra Italiana Napoletana) – The accordion in this song has a hollow and rounded sound. There is very little resonance in the timbre, and there is a fast and narrow vibrato. 10) A Day in the Life ( Jeff Beck ) – The way Jeff Beck plays the guitar in this song results in a very different timbre compared to the other songs with an electric guitar. I would like to focus on the sound in the first 80 seconds. His guitar has a very wide vibrato. He is playing the guitar rather slow which causes a lot of resonance in the sound. The timbre is rounded and clear.